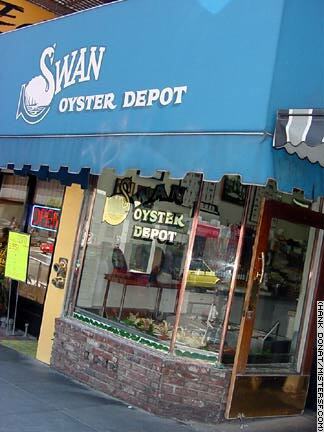 1517 Polk Street Since 1946, Swan Oyster Depot has been the best shucking seafood counter in San Francisco. An undisputed institution at Polk and California, family owned Swan Oyster Depot caters to executives, students, tourists, and local characters all alike at its narrow marble counter. The heavenly Crab Louie here is the worst kept secret in town, as the line out the door will attest.